We at Infinium, offer research studies pertaining to ever growing and rapidly expanding consumer goods industry and packaging industry! A recent report published by Infinium Global Research on folding bikes market provides in-depth analysis of segments and sub-segments in global as well as regional folding bikes market. The report is a comprehensive presentation of trends, forecast and dollar values of global folding bikes market. According to the report the global folding bikes market is projected to grow at a CAGR of 5.6% over the forecast period of 2018-2024. A recent report published by Infinium Global Research on coir market provides in-depth analysis of segments and sub-segments in global as well as regional coir market. The report is a comprehensive presentation of trends, forecast and dollar values of global coir market. According to the report, the global coir market is projected to grow at a stable CAGR over the forecast period of 2018-2024. A recent report published by Infinium Global Research on hair care market provides in-depth analysis of segments and sub-segments in global as well as regional hair care market. The report is a comprehensive presentation of trends, forecast and dollar values of the global hair care market. According to the report, the global haircare market is projected to grow at a CAGR of 3.68 % over the forecast period of 2018-2024. A recent report published by Infinium Global Research on grease cartridges market provides in depth analysis of segments and sub-segments in global as well as regional grease cartridges market. The report is a comprehensive presentation of trends, forecast and dollar values of global grease cartridges market. According to report the global grease cartridges market is projected to grow at a CAGR of 5.6% over the forecast period of 2018-2024. A recent report published by Infinium Global Research on Isothermal Bags Containers Market provides an in-depth analysis of segments and sub-segments in global as well as regional isothermal bags containers market. The report is a comprehensive presentation of trends, forecast and dollar values of global isothermal bags containers market. 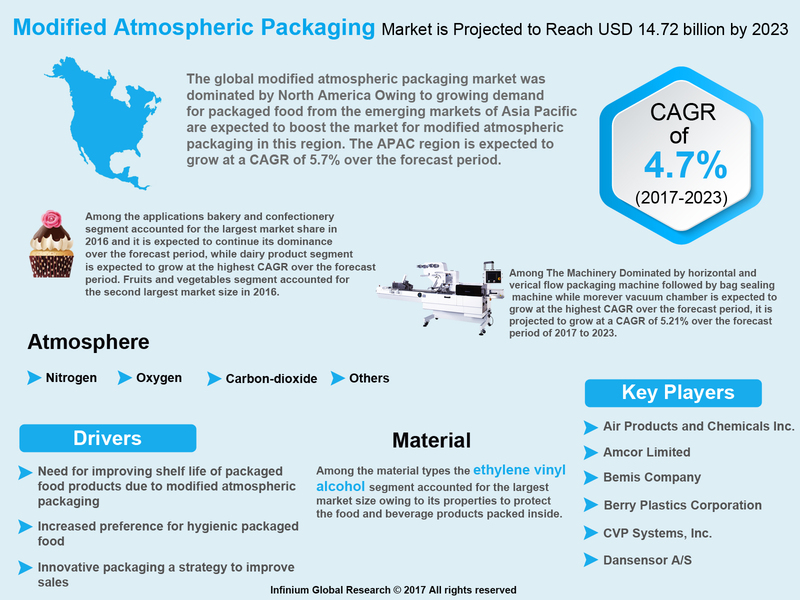 According to the report the global isothermal bags containers market is projected to grow at a CAGR of 5.7% over the forecast period of 2018-2024. A recent report published by Infinium Global Research on end-of-line packaging market provides in-depth analysis of segments and sub-segments in global as well as regional end-of-line packaging market. The report is a comprehensive presentation of trends, forecast and dollar values of global end-of-line packaging market. According to the report, the global end-of-line packaging market is projected to grow at a CAGR of 4.6% over the forecast period of 2018-2024. A recent report published by Infinium Global Research on freezer bags market provides in depth analysis of segments and sub-segments in global as well as regional freezer bags market. The report is a comprehensive presentation of trends, forecast and dollar values of global freezer bags market. According to report the global freezer bags market is projected to grow at a CAGR of 3.9% over the forecast period of 2018-2024. A recent report published by Infinium Global Research on metal cans and glass jars market provides an in-depth analysis of segments and sub-segments in global as well as regional metal cans and glass jars market. The report is a comprehensive presentation of trends, forecast and dollar values of global metal cans and glass jars market. According to report the global metal cans and glass jars market is projected to grow at a CAGR 3.5% over the forecast period of 2018-2024. A recent report published by Infinium Global Research on mobile phones packaging market provides an in-depth analysis of segments and sub-segments in global as well as regional mobile phones packaging market. The report is a comprehensive presentation of trends, forecast and dollar values of global mobile phones packaging market. According to the report the global mobile phones packaging market is projected to grow at a CAGR 7.9% over the forecast period of 2018-2024. A recent report published by Infinium Global Research on on-the-go breakfast packaging market provides in depth analysis of segments and sub-segments in global as well as regional on-the-go breakfast packaging market. The report is a comprehensive presentation of trends, forecast and dollar values of global on-the-go breakfast packaging market. According to report the global on-the-go breakfast packaging market is projected to grow at a CAGR 5.2% over the forecast period of 2018-2024. A recent report published by Infinium Global Research on packaging automation market provides in-depth analysis of segments and sub-segments in global as well as regional packaging automation market. The report is a comprehensive presentation of trends, forecast and dollar values of global packaging automation market. According to report the global packaging automation market is projected to grow at a CAGR 8.2% over the forecast period of 2018-2024. A recent report published by Infinium Global Research on pharmaceutical bottles market provides in depth analysis of segments and sub-segments in global as well as regional pharmaceutical bottles market. The report is a comprehensive presentation of trends, forecast and dollar values of global pharmaceutical bottles market. According to report the global pharmaceutical bottles market is projected to grow at a CAGR 3.9% over the forecast period of 2018-2024. 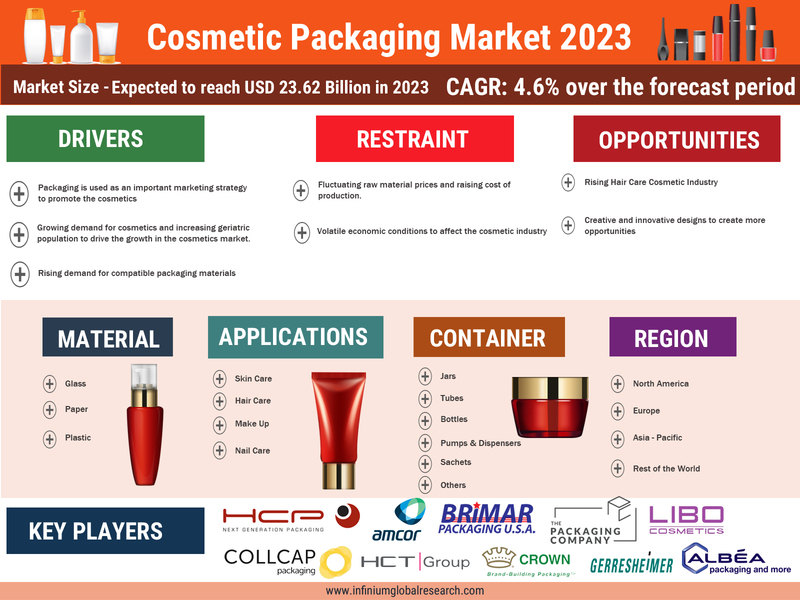 A recent report published by Infinium Global Research on plastic packaging market provides an in-depth analysis of segments and sub-segments in global as well as regional plastic packaging market. The report is a comprehensive presentation of trends, forecast and dollar values of the global plastic packaging market. According to the report the global plastic packaging market is projected to grow at a CAGR 3.4% over the forecast period of 2018-2024. A recent report published by Infinium Global Research on rigid packaging market provides in depth analysis of segments and sub-segments in global as well as regional rigid packaging market. The report is a comprehensive presentation of trends, forecast and dollar values of global rigid packaging market. According to report the global rigid packaging market is projected to grow at a CAGR 5.8% over the forecast period of 2018-2024. A recent report published by Infinium Global Research on smart office market provides in depth analysis of segments and sub-segments in global as well as regional smart office market. The report is a comprehensive presentation of trends, forecast and dollar values of global smart office market. According to report the global smart office market is projected to grow at a healthy CAGR of over the forecast period of 2018-2024. A recent report published by Infinium Global Research on thermoformed shallow trays market provides in depth analysis of segments and sub-segments in global as well as regional thermoformed shallow trays market. The report is a comprehensive presentation of trends, forecast and dollar values of global thermoformed shallow trays market. According to report the global thermoformed shallow trays market is projected to grow at a healthy CAGR over the forecast period of 2018-2024. A recent report published by Infinium Global Research on tissue paper packaging machines market provides in depth analysis of segments and sub-segments in global as well as regional tissue paper packaging machines market. The report is a comprehensive presentation of trends, forecast and dollar values of global tissue paper packaging machines market. According to report the global tissue paper packaging machines market is projected to grow at a healthy CAGR over the forecast period of 2018-2024. A recent report published by Infinium Global Research on aluminum foil packaging market provides in-depth analysis of segments and sub-segments in global as well as regional aluminum foil packaging market. The report is a comprehensive presentation of trends, forecast and dollar values of global aluminum foil packaging market. According to the report the global aluminum foil packaging market is projected to grow at a moderate CAGR over the forecast period of 2018-2024. 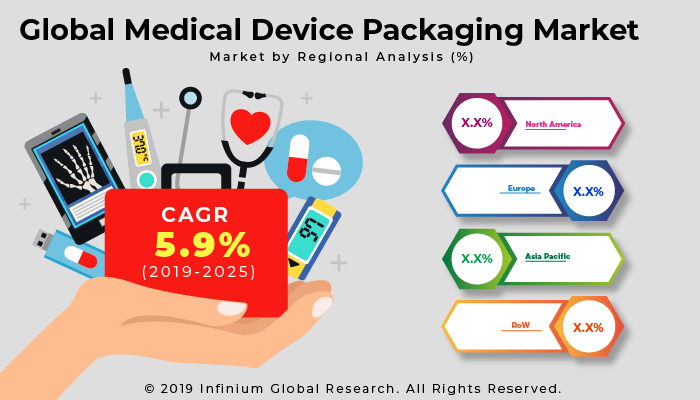 A recent report published by Infinium Global Research on antimicrobial packaging market provides in depth analysis of segments and sub-segments in global as well as regional antimicrobial packaging market. The report is a comprehensive presentation of trends, forecast and dollar values of global antimicrobial packaging market. According to report the global antimicrobial packaging market is projected to grow at a healthy CAGR over the forecast period of 2018-2024. A recent report published by Infinium Global Research on blister packaging equipment market provides in depth analysis of segments and sub-segments in global as well as regional blister packaging equipment market. The report is a comprehensive presentation of trends, forecast and dollar values of global blister packaging equipment market. According to report the global blister packaging equipment market is projected to grow at a healthy CAGR over the forecast period of 2018-2024. A recent report published by Infinium Global Research on blow fill seal (BFS) technology market provides in-depth analysis of segments and sub-segments in global as well as regional blow fill seal technology market. The report is a comprehensive presentation of trends, forecast and dollar values of global blow fill seal technology market. According to report the global blow to fill seal technology market is projected to grow at a healthy CAGR over the forecast period of 2018-2024. A recent report published by Infinium Global Research on die-cut lids market provides in depth analysis of segments and sub-segments in global as well as regional die-cut lids market. The report is a comprehensive presentation of trends, forecast and dollar values of global die-cut lids market. According to report the global die-cut lids market is projected to grow at a CAGR 5.8% over the forecast period of 2018-2024. 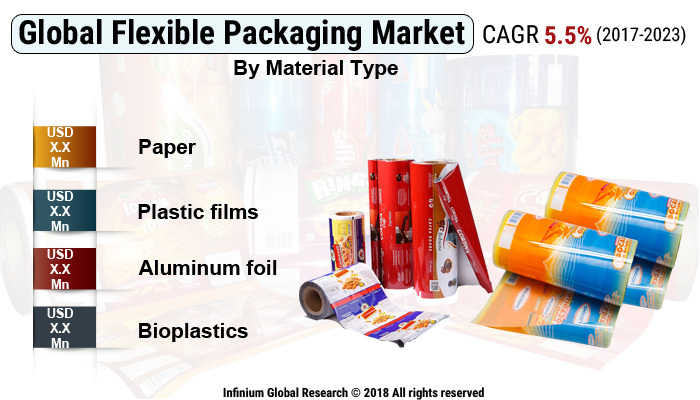 A recent report published by Infinium Global Research on edible packaging market provides an in-depth analysis of segments and sub-segments in global as well as regional edible packaging market. The report is a comprehensive presentation of trends, forecast and dollar values of global edible packaging market. According to the report, the global edible packaging market is projected to grow at a healthy CAGR over the forecast period of 2018-2024. 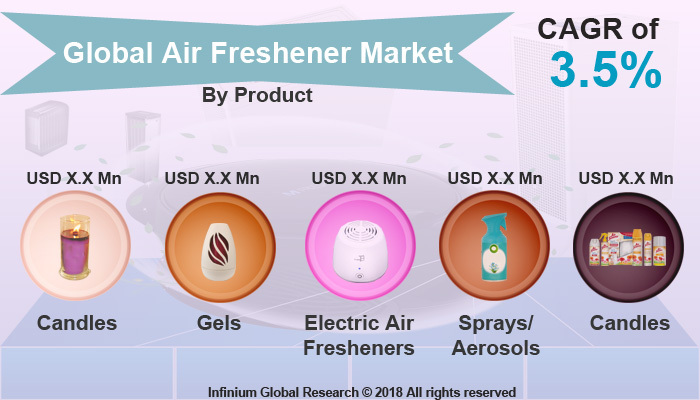 A recent report published by Infinium Global Research on effervescent packaging market provides in depth analysis of segments and sub-segments in global as well as regional effervescent packaging market. The report is a comprehensive presentation of trends, forecast and dollar values of global effervescent packaging market. According to report the global effervescent packaging market is projected to grow at a healthy CAGR over the forecast period of 2018-2024. A recent report published by Infinium Global Research on folding cartons market provides in depth analysis of segments and sub-segments in global as well as regional folding cartons market. The report is a comprehensive presentation of trends, forecast and dollar values of global folding cartons market. According to report the global folding cartons market is projected to grow at a healthy CAGR over the forecast period of 2018-2024. A recent report published by Infinium Global Research on form fill seal machines market provides in depth analysis of segments and sub-segments in global as well as regional form fill seal machines market. The report is a comprehensive presentation of trends, forecast and dollar values of global form fill seal machines market. According to report the global form fill seal machines market is projected to grow at a healthy CAGR over the forecast period of 2018-2024. A recent report published by Infinium Global Research on fresh meat packaging market provides in depth analysis of segments and sub-segments in global as well as regional fresh meat packaging market. The report is a comprehensive presentation of trends, forecast and dollar values of global fresh meat packaging market. According to report the global fresh meat packaging market is projected to grow at a moderate CAGR over the forecast period of 2018-2024. A recent report published by Infinium Global Research on industrial bulk packaging market provides in-depth analysis of segments and sub-segments in global as well as regional industrial bulk packaging market. The report is a comprehensive presentation of trends, forecast and dollar values of global industrial bulk packaging market. According to the report the global industrial bulk packaging market is projected to grow at a CAGR 5.7% over the forecast period of 2018-2024. A recent report published by Infinium Global Research on industrial packaging market provides in depth analysis of segments and sub-segments in global as well as regional industrial packaging market. The report is a comprehensive presentation of trends, forecast and dollar values of global industrial packaging market. According to report the global industrial packaging market is projected to grow at a CAGR 4.7% over the forecast period of 2018-2024. A recent report published by Infinium Global Research on laminated labels market provides an in-depth analysis of segments and sub-segments in global as well as regional laminated labels market. The report is a comprehensive presentation of trends, forecast and dollar values of global laminated labels market. According to report the global laminated labels market is projected to grow at a CAGR 5.2% over the forecast period of 2018-2024.